Native Americans began moving into New England after the retreat of the Wisconsin Glacier, around 12,000 BC. 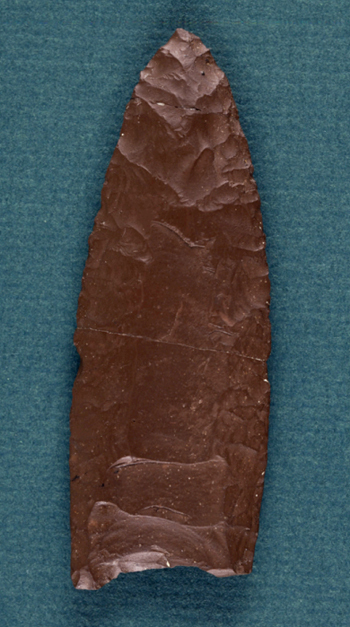 Artifacts discovered at Great Neck and along the riverbanks have been identified as belonging to the later Archaic period (8000-5000 years ago) and the Woodland period (2000 years ago). 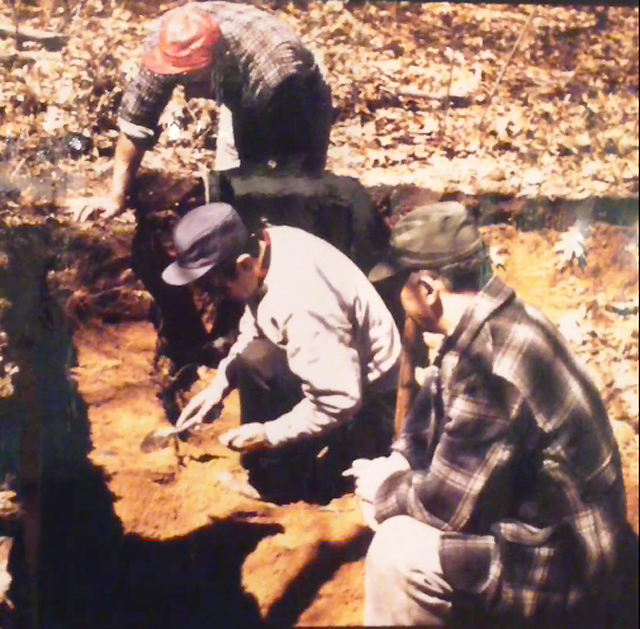 Evidence of a 3000-year old village was discovered along the Merrimack River in West Newbury. Native Americans grouped in tribes and moved seasonally for agriculture, fishing and hunting. By the 1500’s, all of the many New England tribes shared the Algonquian language, with varying dialects, but they did not develop a written language. Within a century of the arrival of European settlers, our American Indian predecessors and almost all evidence of their existence had vanished. In September 1882, Mr. I. J. Potter of the Ipswich Chronicle discovered a 100′ x 60′ shell heap on Perkins (Treadwell’s) Island that had never been disturbed. Its contents included crude stone points and knives, and what that writer believed to be human bones. The 135 acre island at the mouth of the Ipswich River sits between Labor in Vain Creek and Little Neck and was originally granted to settler John Perkins. 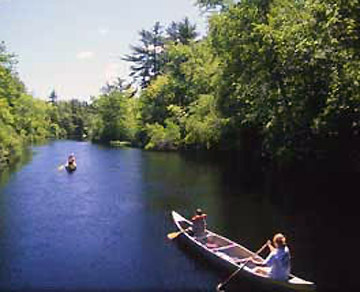 It is still known as both Treadwell’s Island and Perkins Island although the latter name also refers to another island in the Ipswich River near Topsfield. 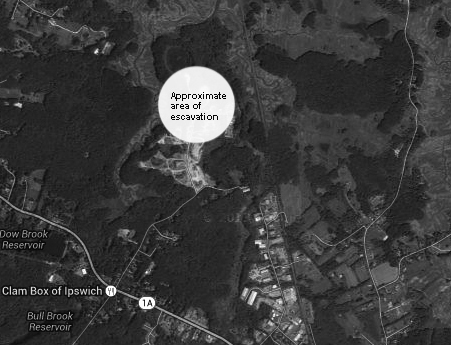 Gravel and sand excavation at the end of Paradise Road in Ipswich uncovered the oldest Paleo-Indian site in American, known today as the Bull Brook Site. At about the same time in the late 19th Century, behind what is now Lane’s Farm on High Street, a plowshare uncovered a cache of forty finely-fashioned stone spearheads. A half mile behind that site, in the early 1950’s, a group of young amateur archeologists men now known as the “Bull Brook Boys” discovered one of the largest Paleo-Indian sites in North America along the banks of Bull Brook and the Egypt River in an area being cleared for a sand and gravel operation at the end of Paradise Road. Over 6,000 artifacts were uncovered in a large circle about the size of four football fields, and are on display at the Peabody Essex Museum in Salem. 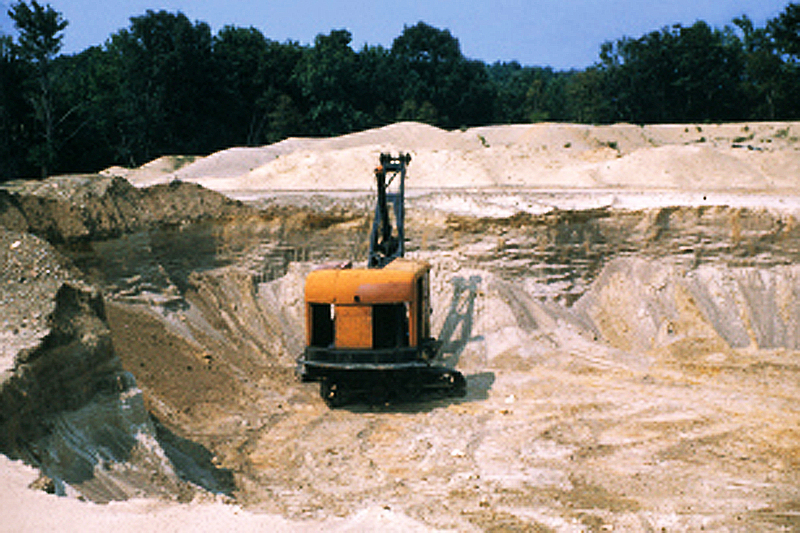 With 42 loci, the site was nearly four times larger than the next largest site in North America.Two more discoveries were made in the late 1960’s, but the site is now a gravel pit. Radiocarbon dating at Bull Brook places the settlement at around 10 – 11,000 years ago, during or just after the cold Younger Dryas period. Glaciers had receded from the North Shore area but sea level was still low enough that the Bull Brook site would have been about ten miles from the coast. Calcified remains of caribou and the constricted valley of the Eagle River suggest that the location may have been ideal for drive-hunting. The Bull Brook site provides some of the oldest physical evidence for large-scale Paleoindian gatherings in North America. More recent discoveries at a Central Texas archaeological site by a Texas A&M University-led research team prove that people lived in that region as much as 2,500 years earlier than previously believed, rewriting what anthropologists know about when the first inhabitants arrived in North America. That pushes the arrival date back to about 15,500 years ago. I have a question: Is there any surviving examples of pottery or weaving from these people who lived in and around Ipswich? Are they displayed anywhere? This is really wonderful, and exciting to read. Thank you!